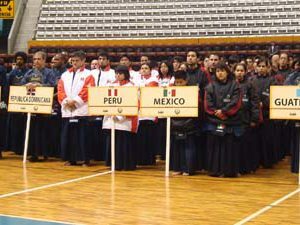 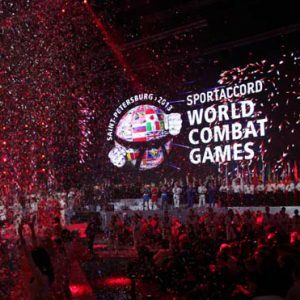 In addition to the World Kendo Championships (WKC) that are held every three years, two Sports Accord World Combat Games (Beijing 2010 and Saint Petersburg 2013) organized by GAISF (General Association of International Sports Federations) have featured kendo competitions which were held by the International Kendo Federation (FIK). 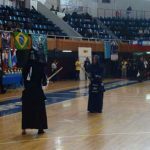 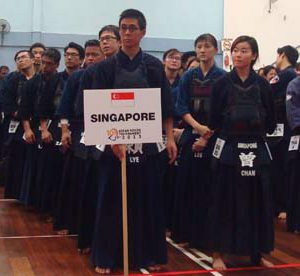 In each zone and nation there are many different kendo competitions held each year. 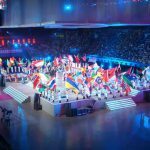 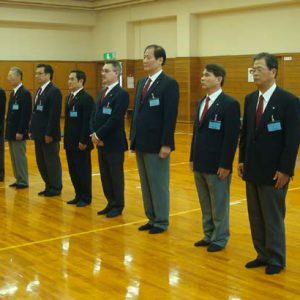 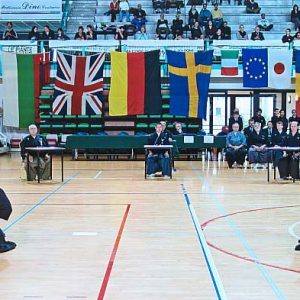 For example, in years in which the WKC is not held, the European Kendo Federation (EKF) holds the European Kendo Championships and celebrated its 28th event in 2017. 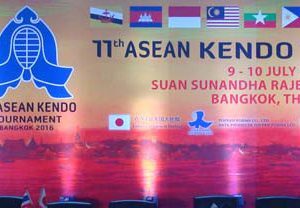 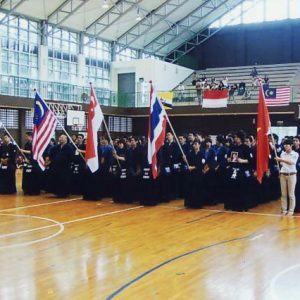 Also, 2018 saw the 18th edition of the Asian Open Kendo Championships held in Hong Kong. 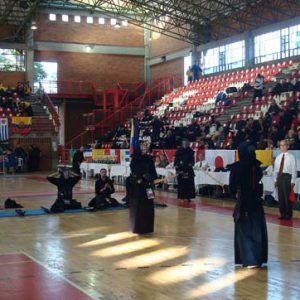 EKF Iaido and Jodo Championships were held in Bologna. 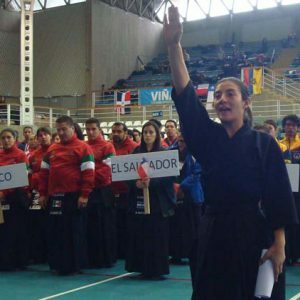 3rd Latin American Kendo Championships was held in Medellin Colombia on 15th and 16th Nov 2013.